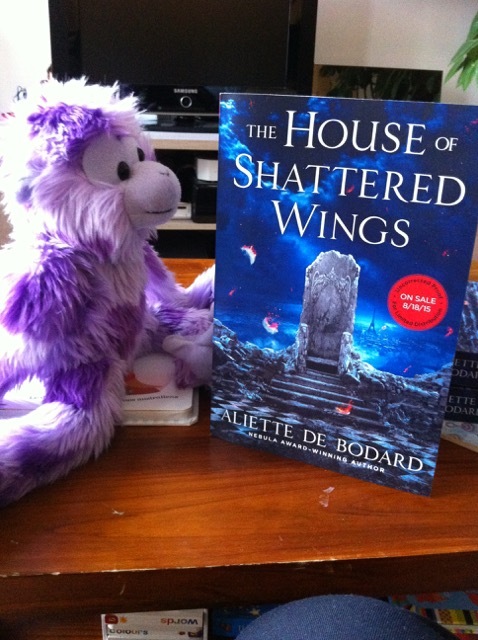 As you might have gathered if you follow my twitter or FB, the Advance Review Copies of the Roc edition of The House of Shattered Wings have landed at headquarters (aka my office, increasingly invaded by the snakelet’s toy cars, plush toys and board books). Want an ARC of your very own? 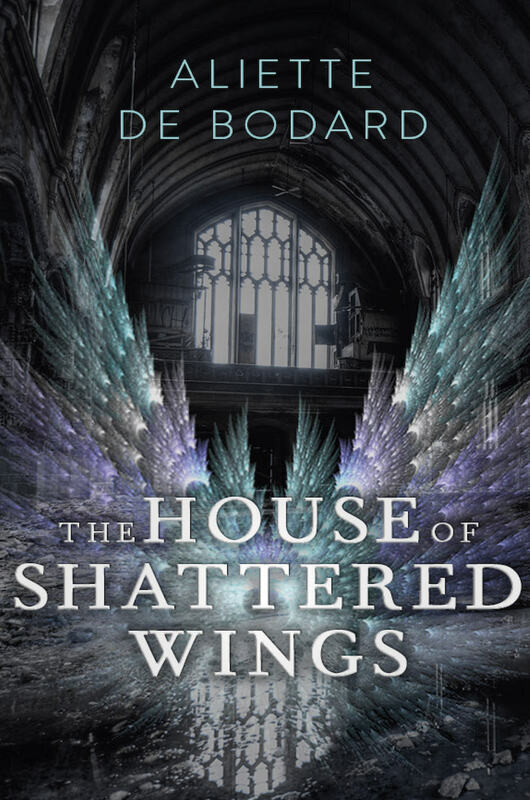 A chance to immerse yourself in a devastated, decadent Paris with fallen angels, alchemists and Vietnamese immortals? You’re in the right place! All you have to do is enter below (disclaimer: this is my first time using Rafflecopter. I hope this works out). This is open to anyone regardless of where you live. This is open until Monday June 1st–I’ll announce winners Tuesday, but possibly I will mail the prizes when I get home from the Nebulas. I’ll sign and personalise the ARCs. 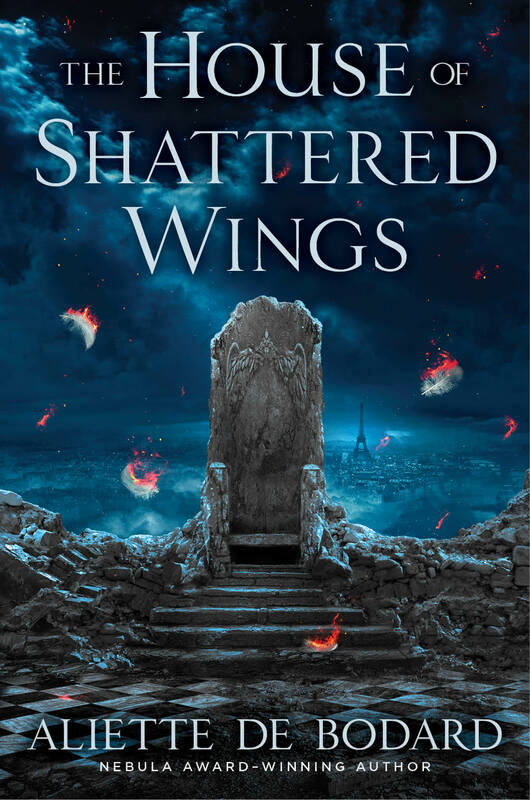 If the image of Lucifer sitting on a throne in the ruins of Notre-Dame strikes you as awesome, then this is the book for you. So, last week, the post office sends us a message saying that they tried to deliver a bulky package to our home, but couldn’t because the mailbox was too small. I’ve been burnt before at this game, so I cajoled the H into going to pick it up at the post office. I have my contrib copies of Master of the House of Darts! To celebrate, I’m giving away ten copies of the book. 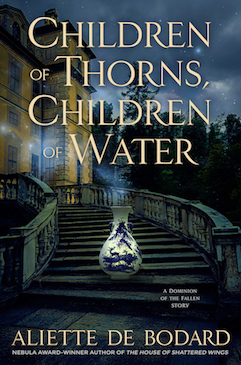 5 are up at Goodreads (and I’ll note the giveaway is available worldwide). Another 5 are up for grabs here: the difference with the Goodreads ones is that I’m trading those for a review of the book posted on your blog or on amazon (I have a slight pref. for amazon because the book hasn’t been getting a lot of signal boost, but do post wherever you want on the Internet, and whatever you feel about the book–more than a few sentences, of course–and you’re obviously free to say if you didn’t like it). First come, first served. I’ll sign and personalise them if you so require. 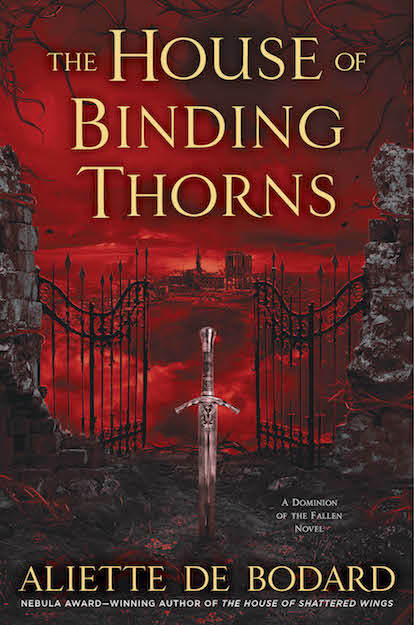 Memo: you don’t have to have read the previous books in the trilogy to make sense of this one; it’s a standalone like an episode of a crime series, though obviously character arcs get wrapped (last book of the trilogy, yadda yadda). Post here or in the LJ mirror if you want to give a copy a good home. Giveaway ends January 08, 2012. ETA: wow, thanks everyone! All copies offered through aliettedebodard.com are gone now, but you can still get the ones from goodreads by entering the giveaway, as indicated above (you have until January 8th).